And then! 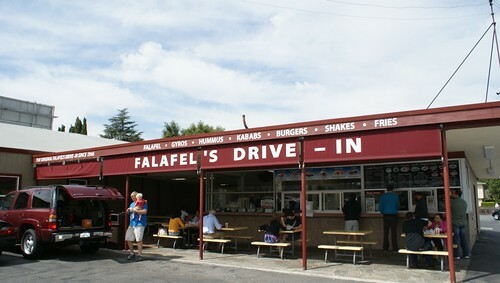 One day a place I had grown up eating at was on the show. NO WAY. Yes way! I, of course, failed to take a pictures of the actual food (good thing I’m not a food blogger! ), but you can watch Guy Fieri show you how they’re made instead. (He’s way better at showing you this stuff than I am.) 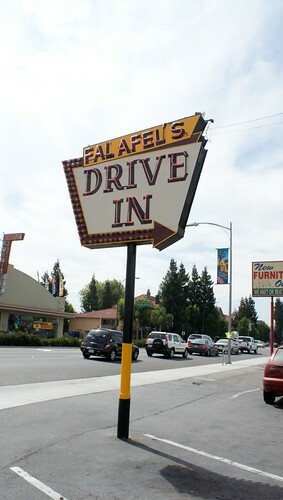 And if you’re ever in San Jose, California – go get you some falafel! It’s very avant garde, don’t you think? Okay, so I thought having Menu Plan Monday would be great for me. It would be a place for me to put our menu (duh!) but also a place to talk about the food we eat. Turns out, I don’t want to talk about the food after it’s been posted as a menu. So I’m going to try posting about what we eat after we eat it. Novel, no? This way I can talk about what we eat, how we modified it, what we ate with it, whether we’ll eat it again…the sorts of things that are useful when considering whether or not to make and eat something. I’m going to start with a recipe that has become my absolute favorite – chicken and guacamole tostadas. Seriously ya’ll, we’ve had these once a week for the last month. They’re THAT good. 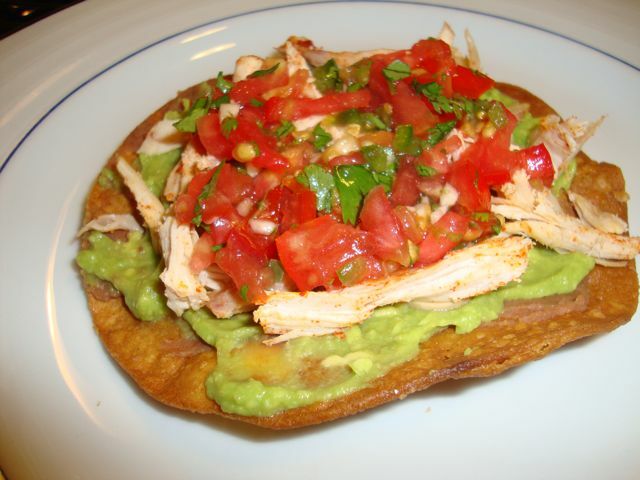 The recipe is incredibly basic – some tostadas, guacamole, shredded chicken and pico de gallo. Layer it all together and wait for the yummy to roll over your tongue. Okay, let’s see what we’re gonna eat! Monday – Chicken and Guacamole Tostadas from the August 2010 issue of Cooking Light. Tuesday – Cilantro Shrimp, also from the August 2010 issue of Cooking Light. Thursday – Pizza. We have a store-bought crust that we’ll top with whatever is in the fridge. Friday – Eat out night. Woohoo! 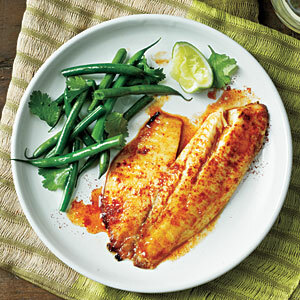 Saturday – Sweet and Spicy Citrus Tilapia (can you guess where it’s from?) August 2010 Cooking Light. I’m think I’ll try to post a review/recap sometime next week. I’ve never tried these recipes, so it’s probably worth it to give them a thumbs up/down and talk about any modifications.